Kashmir, popularly known as the Paradise in India, is no doubt one of the most attractive travel destinations among the nature lovers. Those who want to enjoy the enchanting beauty of the Himalayas, then Kashmir will surely be a great place to visit. Especially the winter in Kashmir is extremely enjoyable and it is really a special season to have great fun in Kashmir. It’s true that people in general love to visit this amazing land of beauty in the months of summer to get some relief from the piercing sun rays. But those who take the chance to visit in the months of winter then get the chance to visualize the charming beauty of Kashmir giving the feel of being right in the midst of heaven. 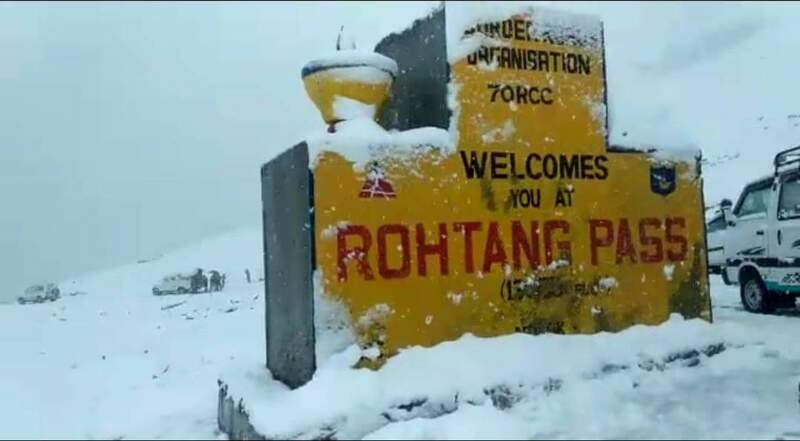 Srinagar, Pahelgam, Gulmarg, Sonmarg, all these places get covered with snow and make the entire surrounding look amazing beautiful, soothing and admirable from the view point of a tourist. Well, let’s have a look at the reasons for which visiting Kashmir in winter is really special. 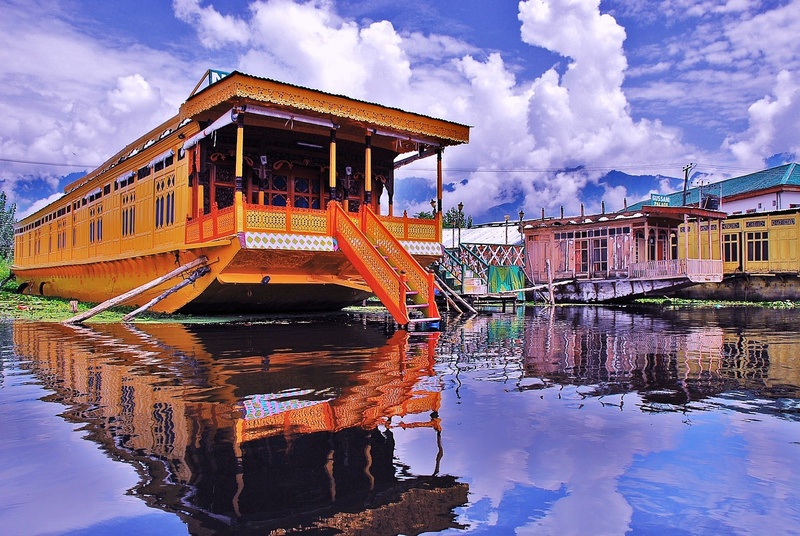 Shikara Ride: Shikara Ride in the Dal Lake is all time favorite among the tourists. But, in winter shikara riding in the partially frozen Dal Lake surely add more enjoyment to the trip. The lake really looks awesome during the winter and this is one of the prime attractions among the tourists to visit Kashmir. Taste the food: If you are planning to visit Kashmir, then it will surely be immense fun to taste various food items available in this season. Lots of mouthwatering dishes you can taste here such as Kashmiri Pulao, Yakhni and different types of Kababs. Another local food item that you can have during your trip to Kashmir in winter is Harissa. This non-vegetarian food item is especially available during the winter. Enjoying skiing: Kashmir is famous for skiing in India. Lots of places are there in Kashmir for skiing and these are categorized as per the level of difficulty. Gulmarg is one of the most preferred places among the tourists who love skiing. Not only in India, but also this place is famous for skiing all around the world. The festival for this adventure sport starts during the Christmas time and it continues till mid-April. Foreign tourists also visit Kashmir during this period to enjoy this amazing game of skiing. Sleigh riding: Visiting Kashmir in winter is going to be a wonderful choice for you if you want to enjoy the beauty of nature while taking a sleigh ride. If you are going to visit Paradise in India during the winter, then you should not miss sleigh riding. Sleigh is a normal toy-car which is made of wood and it is pulled by one person on the snow covered path. Tourists can enjoy this funny activity in the Gulmarg during the winter only. People from all parts of the world mainly visit here to enjoy this winter sport. Sleigh riding is only available during the months of winter and so if you want to experience them come visit Kashmir in winter. Snow trekking: Another prime attraction to visit Kashmir during winter is snow trekking. Trekkers from different parts of the world like to visit this place to enjoy the trekking on the snow covered mountains. The nature lovers will get the exclusive views of the entire Kashmir at time of snow trekking. The Sind and the Liddar Valley are no doubt some great places for enjoying snow trekking. Just ensure you are experienced in trekking activities and have the minimum equipments available with you which are needed for safe trekking. Enjoying ice hockey and ice skating: During winter the temperature in Kashmir reaches below “0” degree and hence the snow covered areas are really nice to visit during this season. You can surely enjoy winter sports such as ice skiing and ice hockey. The lakes and the pools get covered with thick snow and normally these places emerge as the perfect place to play hockey. Well, if you are new to this sport then you will surely get guidance from the qualified and trained instructors who will be available there for support and assistance. Snow festival: Among tourists who love exploring the world in the months of winter prefer to visit Kashmir in the winter season. Snow festival is one of the key attractions in Kashmir which is loved and appreciated by tourists from different corners of the globe. This fiesta is held in the month of January in Gulmarg. The festival runs for three days and people can enjoy lots of activities here and take pleasure in experiencing the warmth of winter. Cycling, skiing, ice-skating, snow-cycling, snowboarding, etc are some enjoyable activities which will definitely make your trip more charming. Mountain biking is another attractive activity that every tourist want to enjoy during the trip. Sightseeing: winter vacation in Kashmir is truly one of the challenging one but that cannot fade away the fact that Kashmir is one of the most charming places in this country, which always looks beautiful in every season. Well, winter brings a new dimension in the beauty of this place. The snow covered mountains and the picturesque beauty of the surroundings no doubt fill the heart of the tourists with joy and completeness. The places like Gulmarg, Sonmarg, and Pahelgam are full of beautiful of sight-seeing places which one must include in the itinerary. All these places possess an exclusive serenity and the beautiful valleys will no doubt charm your heart. Pony ride on Betaab Valley, Pahalgam: Winter appears to be a blissful season for you when you go for a pony ride on the Betaab Valley, Pahalgam. The ponies will take you on a ride to the different corners of the valley to allow you to get the glimpse of the snowcapped beauty of Kashmir. Be sober to the animals or if they get angry they can make you fall on the hard snows getting you hurt. Above are the 9 amazing reasons which will encourage you to embark in the journey of Kashmir in the winter months. This entry was posted in Hill Stations, Travel Tips and tagged kashmir winter tours, visit kashmir. Bookmark the permalink.